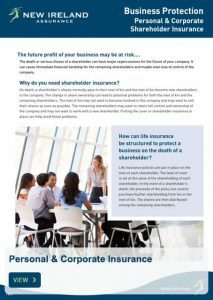 Ensuring the survival of a business, either when it passes to the family of the business owners or in the event of a key employee or co-owner dying, requires careful planning. 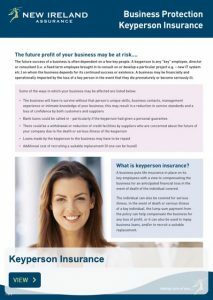 Having life assurance and/or serious illness cover on the lives of people who are essential to a client’s business can form part of that plan and can assist in ensuring the continued survival of the business. 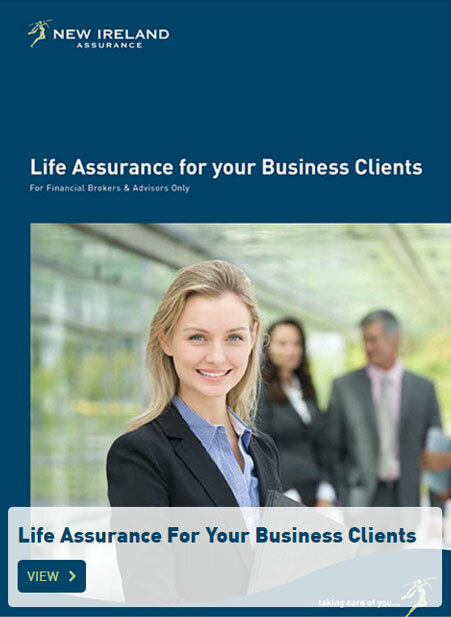 Please view New Ireland’s “Life Assurance For Your Business Clients” brochure to look at some of the options available on how your client’s can protect their business. 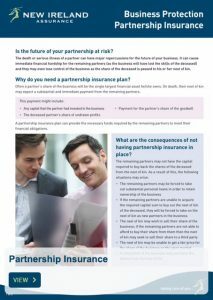 Please view New Ireland’s Business Protection Client Flyers below on Keyperson, Partnership and Personal & Corporate Shareholder Insurance.